This time, I want to talk about being smart with money during medical emergencies. I request the readers’ indulgence and want to share my learning from a medical emergency and how we can be smart with our money. The medical industry is designed to exploit the ‘fear’ and ‘ignorance’ factor and transfer wealth from the average individual to the group of players who dot the medical industry—doctors, hospitals, pharmaceutical companies, etc. Choice of medications that may not be the best for you. I had a medical emergency a few months ago. It was mid-morning. A kindly neighbour rushed me to the nearest big-name hospital. The doctor advised some checks. The first two checks showed things were fine and no cause for concern. At this stage, I could have been kept under observation. However, the doctor and another accomplice persuaded me to have an angiogram. We had to trust that gentleman in the white coat. After the angiogram, he told us that I had two blocks—one of them was supposedly 90% and the other, 70%. I started getting a severe headache. The doctor said that it was a side-effect of some medication that he had put me on and that he would change it to some other. The doctor then went into a huddle with my family and suggested that I go through a stenting process; he recommended that I go for the ‘absorbable stents’ that were, supposedly, better. I was told that the two stents would cost around Rs4 lakh. During all this, the hospital had discovered that I was covered for medical insurance up to some five lakh rupees. By this time, my friends had arrived. They talked to the doctor who said that the surgery was imperative and that there was some specialist who would be coming to that hospital in two days and there were a series of these ‘absorbable stent’ insertions that day. My friends persuaded the doctor that we would source the stents directly. Reluctantly, the doctor agreed. The distributor, who supplied the stents, told us that the doctor was his biggest client and that more than half of the price would be a rebate to the doctor! So we got the stent at less than half the price and the distributor invoiced the stents to the hospital at one rupee. Obviously, the money he collected from us would have been given in part or full to the man in the white coat. My family doctor was upset at this gentleman in the white coat. He said that if the blockage were so severe, he could have done the stenting at that moment and not have had to open me up again. An angioplasty meant that I had to undergo another intervention which necessitated more medication and extra care. My headaches were continuing. Finally, the stents were inserted and I was shifted out of the ICU (intensive care unit) and told that I could go home the next day. Now, having completed the surgery, I tried to read some papers or books and found that my vision in one eye was badly impaired. My headaches refused to go. The doctor kept on giving me Crocin and reasoned that the stress must have caused this headache and the vision problem and that it would set itself right. This gentleman in the white coat then performed his final act of cruelty. Post-stenting, we have a choice of medicines. Some cost Rs5 a tablet and some cost Rs50 a tablet. The company selling the Rs50 tablet ‘promotes’ the product by offering incentives for prescription. Once you are on a particular medication, you have to continue the same thing for one year. So, I was locked in for the Rs50 tablet, twice a day for one year. I did not have the sense to ask the doctor about the choices. By this time, my faith in the doctor, his team and the hospital had evaporated. I went to an eye-hospital to check the problem with my eye. It was a week after the surgery. During the eye check-ups, the doctor told me that I should go for a brain scan, since he suspected that there could have been a haemorrhage in the brain that could have compressed the nerve supplying blood to the eyes. A brain scan confirmed this. Apparently, the excess dosages of blood thinners (one when I got admitted, one for the angiogram and another for the angioplasty—given in rapid succession) had caused this haemorrhage. Luckily, we knew a good neurologist who helped us out. Now my vision is recovering as the haemorrhage heals. Record critical conversations with doctors on your mobile phone. Before the final discharge, make a list of questions. Ask them clearly and write down the responses. There are many more issues that you will come across. I know, it is not easy to keep one’s calm and reason things out, during a medical emergency. So, it is best to do our homework well in advance. And, yes, an ounce of prevention is better than a pound of cure. Spend time and money on your diet. It is cheaper than paying hospitals which, today, are corporate entities out to boost their bottom-lines at any cost. Stay healthy. Health is, indeed, wealth. Debt paper issued by ‘investment’ companies form a significant part of the portfolio of many institutional investors. In a way, these investments are banking more on faith than on cash flows. Many of the investment companies are in the nature of holding companies which have no cash flows other than dividends received. It keeps replacing one debt with another. In the real world, the first is a rare happening. And when it is forced upon by the lenders, it leaves behind a wave of destruction of value. The first time it happens in a big way and selling started, there have been questionable deals by mutual fund companies and the promoters. Whether it is Zee or ADAG, it has become not only a problem for the mutual funds but also for the shareholders. ADAG went to court against the selling of shares by Edelweiss and caused legal costs and pain to Edelweiss. And once this level of selling happens in a concentrated dose, the traders get wind and the stock price simply collapses, leading to compounding of misery. The other thing is that promoters may escape disclosing these as ‘pledged’ shares. Often the agreements could be private lending arrangements like in some intercorporate loans. When a loan is created by pledging of the shares, repayment rarely happens unless the promoter sells off some asset or the other. If so, why not sell off that asset in the first place? A promoter may say that he is waiting for a better price. If so, why cannot his need also wait? It would be best if Mutual Funds are prohibited from investing in to paper issued by “Investment Companies” . In general, these borrowers are unlisted and have limited access to capital markets. And there is no control or transparency in end-use. They are used for various ‘corporate’ purposes through a maze of onward lending. Of course, someone will say that there are ‘good’ promoters and not so good promoters. However, mutual funds start increasing their risk while chasing higher yields. To me it is a big caution and warning to mutual fund investors. In an equity fund, if there is loss of three to ten percent of the NAV, it is not a shock to an investor. Market moves and stock selection can cause this and the equity investor is ‘prepared’ or not shocked by such falls. Most people at the personal level, approach Income Funds as an alternative to Fixed Deposits with Banks or Companies. Some also think that the Income funds will give higher returns. So far, we have not seen any bad debt crisis in Income Funds. Suddenly, there is a bunch of mishaps that are hitting the mutual fund investors- IL&FS, DHFL, ADAG, Zee Group etc.. When there is a permanent loss of capital in a fixed income fund, it hurts. There is generally no upside. Apart from paying very high costs for investors, the least that a fixed income fund investor expects is that Credit Risk is eliminated (or minimized) by sticking to high quality debt instruments of creditworthy entities. Lending to a promoter is like Loan Against Shares to an individual. A promoter wraps his shareholding in an Investment Company, giving it the façade of a Corporate Debt Paper. From the Investor perspective, these kind of risks are a deterrent to investing in Fixed Income Funds. If I check out the returns for the last three years- the TOP 10 medium to long term funds have given returns between 6.7 to 8.1 percent per annum. Hardly any better than Bank Fixed Deposits. And if there is some bad debt that takes away even five percent of the corpus, the return will be below the savings bank rates. Is it worth taking this risk? I would keep away from all fixed income funds except the Liquid Funds, which invest only in prime short term paper. Even in short term paper, I would like to see a cap of ten percent on finance segment. Today, the portfolios are packed with debt paper and structured instruments from investment companies. And another important thing I would like to see is the fund manager paying attention to the quality of the Rating Agency. Laying the blame on ‘ratings’ in general is highly irresponsible. Every player in the industry knows about credit rating agencies. Not all of them are equally trustworthy. A simple ‘recognition’ from SEBI means nothing. As an investor, I do not mind equity mutual funds- where my first preference is for an ETF on the index. As regards Fixed Income Funds, I think I am happy with Bank Deposits, Company Deposits. Of course, I will go by my judgement of credit rather than depend on credit rating agencies. If I cannot find anything good, I am happy with bank deposits. Old stamps, antiques, old watches, paintings, etc, are called ‘priceless’ for a reason. They do not follow any rules, or principles, of valuation. Their value could be from zero to infinity, depending on the eye of the beholder. And, unlike government securities or stocks, they do not generate any income. Still, there are experts for everything who can fix a value for things in their domain. Such valuation expertise defies rules applied to popular income-generating assets. Market-capitalisation is the value attributed to a company with these financials. If we were to put the amount for its market-cap in a bank fixed deposit (FD), carrying interest at 8%pa, it would earn around Rs4,800 crore every year. This company is earning around Rs700 crore today. And will the earnings double every year? Even if they do, it will earn Rs1,400 crore in one year, Rs2,800 crore in two and Rs5,600 crore in three years. The company looks like it is grossly undervalued. What if the company were to grow only at 30%? Then, it would take nearly eight years for the profits to reach that level. In the meanwhile, the bank would have paid Rs4,800 crore in the first year itself, with every year, compounded. I would like to think that the market believes that the company will nearly double its earnings every year; in other words, a growth of 100%pa, or close to it. What if the company stumbles? What if the company’s profits stagnate or fall? Or am I being stupid in even considering such a possibility? The company is Eicher Motors which has had a spectacular run. I do not know many people who bought its shares a few years ago, but there is a lot of talk about the stock now. Going by numbers, I see ‘great’ expectations riding behind the price. One small slip and the price will come crashing. If the market-cap rises at the same pace as the turnover, the stock is surely priced like a Kohinoor diamond. Definitely, not valued like a financial asset. There are many such stocks. The problem with the markets is that they can be irrational—on both sides. What would I have done, if I had bought the share when the company’s market-cap was, say, Rs500 crore? Frankly, I would have started offloading my position long before the market-cap hit 30-40 times its rising profits. That itself would have been a spectacular return. Yes, I would always look back with ‘regret’; but that is my style. I do agree that, in the early stages, companies can keep doubling the revenue and the bottom-line every year. Where will it halt? It is a call that is hard to take; but I would take the call at some time. Eicher has doubled its top/bottom-line every two years. That is a near 40% (compound annual growth rate—CAGR). Even at this rate, it will take nearly five years or more for the profits to reach the level of the return on a bank fixed deposit on today’s principal. Irrational: I do not understand these kinds of valuations that border on irrationality. I am happy to keep away from something that I cannot believe in—until I am comfortable with the price. A company may be great, its products great and prospects great. But price has to have a relation to the profits it makes. After all, money has alternate uses. We cannot impute a price simply because it is a price at which the last person bought. One way to address this issue is to follow what Charlie Munger, partner of Warren Buffett, says: “Invert, always invert.” In this case, you might like to ask yourself, whether you would be willing to pay Rs60,000 crore to buy out the entire company that delivers profits of around Rs700 crore. The company’s highest (current) return on equity (RoE) is around 50%. HUL and Colgate deliver near, or more than, 100% RoE. Of course, I could be totally wrong. Maybe Eicher will sell two million motor cycles in a few years and earn Rs3,000 crore as profits. If you think it is going to happen, you should buy the share. In all markets, we will always have prices that do not conform to normal valuation rules. They don’t trade on ‘Price to Earnings’ (P/E) basis but ‘Price to Expectations’ ratio. Of the two examples I discussed above, neither seems to fit in my buy list—at the current prices. I must say, that I like the company, Eicher, and have used it as an example to discuss and debate stock-market behaviour. It is just that I would like to own it, but at a considerably lower price. The bigger game is in spotting such companies very early, if we have to make super returns from stocks. Page Industries is another great example of how companies can reward the investor, if spotted early. Here is where some deep thinking and knowledge of the product, the markets and the company helps. So we have to keep aside some of our investible money for such potential winners. We may choose three or four and, even if one pays off, it is worth the risk. • It has a product that is easily understood and enjoys strong demand. • There is some advantage over existing players that can give an edge. • It has enough resources to keep growing, without coming to the capital markets. • The company has very low debt or no debt. • The product enjoys high profit margins. • The product has a long life cycle and will survive for decades. • The company can focus on building the product/brand and does not have to invest in logistics, distribution channels, etc. • Company’s product/s has/have a mass market or cater to a growing and/or ‘aspiring’ population. • The promoter owns at least 51% of the business. It is important that one can understand what drives profits in the business without going into complicated Excel-sheet numbers. The simpler it is, the higher the chances of success. Also, look for global comparisons, wherever possible. Page Industries was harder for many to spot because its parent, Jockey International, is not a listed company. Information was not easy to access; one had to go on the premise that it was one of the top two or three brands in the world in ‘innerwear’ and that the Indian promoter is a trusted franchisee with the background, etc. The first-year numbers, the quarter-on-quarter numbers were all showing the way. Provident Fund has always been a source of irritant to the policy makers and the critics. To me, it is a question of too much thinking on a straight and simple topic. To me, the Provident Fund is the cornerstone for my retirement. I do not want any risks to be taken with it. While I understand the benefits of equity investments, I do not wish my PF to be put in to this instrument. I do not want my PF money to ever grace the bank account of any private sector company in India. My PF gets invested for long term and nothing except the sovereign guarantee will survive the tenure of a PF. I am happy if the government guarantees a rate of around eight percent (assuming we do not see inflation cycles worse than what we have seen in the last thirty years). If required, the government can say that if the inflation rate is below eight percent per annum over a five year moving average, the interest rate would be eight and should it go up, it would be adjusted to match the inflation rate, for those years where the eight percent moving average is breached. And let the benchmark for inflation be the Consumer Price Index. Further, let the PF be limited to salaries of up to Rs.20,000 or so per month. In case of higher salaries, let the option be given to the individual to make a choice. There is a complicated method of investing this PF money by the EPFO. So many intermediaries, so much of risk and at the end of the day, the return is around eight to nine percent. Why have all this complex arrangements and heightened risk? Let all the money go to the government. In any case the government is raising debt by issuing paper. Let the PF moneys get a guaranteed eight or nine percent. The government may, at worse be paying an extra percent or two over the long term. Today, the EPFO has nearly 42 million accounts. Let me assume, generously assume that the average PF per account (12% of 15,000 from employer and employee each, per month- or around Rs.3,600 per month, including employer contribution) is an annual Rs.43 thousand. So for 42 million accounts, the annual accretion would be of the order of under Rs.200,000 crore each year! Today, the PF amounts cited include the PF on the higher salaries too, without the ceiling cut off. Let the ceiling be in place- After all, the government is obliged only to provide a base level and not guarantee the savings of the rich and famous through subsidies. At under Rs.2 lakh crore today, even if this increases by five to six percent each year, the damage on the exchequer is not large. On 2 lakh cr, the differential would be around Rs.4,000 crore for the year. Let us assume an accumulated corpus of 20 years. In which case it would be around Rs.20 lakh crores or so, with compounded interest. On this amount, annual subsidy at two percent would beRs.40,000 crore! And we can do away with all the management costs that are now being incurred in the management of the corpus. And this subsidy is well worth the social benefits that accrue. This 40,000 cr number assumes that the Govt can raise perpetual money at six percent. If we think eight percent is fair, then the question of subsidy does not arise at all. So, instead of debating where to put the PF money etc, let the entire thing go to the govt, interest be funded each year by the govt and do away with private trusts or management of PF moneys. The last few months have brought home the risks of investing in to direct equities. There are many stocks which have fallen from favour due to some governance issues or some controversies. Even the mutual fund managers have been caught in this mess. Whether it is DHFL or GRUH or Yes Bank or the many commodity stocks that have seen their best behind, there are many casualties that have eroded wealth. The Big Indexes do not seem to indicate any panic. The markets seem to be holding their own However, if we go to the next levels, the scene is like a battlefield. There are so many casualties and a few fatalities also. Many people would have been tempted by the noise of the market and got in to the market in 2017 or 2018. From there most commodity sector and NBFC stocks have not gone anywhere and most have cracked hard. So if you bought just two shares and both lost 40%, you are sitting with 60% and unsure of what to do. Most likely, you will sit on it in the hope that price will come back. On the other hand, a Mutual Fund would have a large enough breadth such that even if three or four stocks tank badly, the impact on the overall NAV would not be much. For instance, if 30% of the holdings crack by 50%, the overall impact is only 15%. Of course, when the bull is roaring, the MF will lag your exhilarating climb. For those who cannot stomach these steep changes, the Mutual Fund route is better. Diversification may moderate the returns, but it will also fall less. Most commodity stocks you bought would have been bought on the basis of the P&L account (earnings, earnings growth, P/E multiples etc) . I have generally used the Balance Sheet measures to buy commodity stocks. Just because China has shut some capacities does not mean that commodity prices will keep going up forever or that additional supplies will not come. Sooner or later, supply overtakes demand and all players go in to the red. Then some players go out and the balance of demand supply shifts. And in this business there is not much differentiation. So best is to buy or sell shares on the basis of the ‘replacement’ value of the business. Thus, I use the trend in “Price to Book Value” to buy or sell in this sector. I do not know my wait time, buy when I buy close to the lower end (as evidenced by past trend) my downside risks are lower and upside risks are higher. Similarly, most NBFC stocks went in to valuations that were driven by growth rather than value or ROE. The best in this sector cannot even earn an ROE that is one fourth of the best in the manufacturing sector. There are no entry barriers and growth is predicated on an endless availability of funding. And the ability of this industry to keep bad debts low. Scandals in one lead to fear in others. And we can see that mutual funds and insurance companies seem to be the biggest provider of funds to this sector. And every company seems to be comfortable with a large short term funding source (Commercial papers, one year papers etc) in the hope that it will always be rolled over. When a DHFL scares the market players, every one (except possibly the big and old established names) will not find money even at a price. This will lead to a chain reaction, call for government intervention and rescue operations. One glance at the secondary trades happening in the debt papers of these finance companies show indicative yields as high as 18% for some lesser known names. This clearly shows that most are having to slow down their fresh disbursements and use that to repay debt. Thus, earnings disappointments will probably send the prices of the shares lower. I still hold that Equities as an asset class get the best returns, over a long period. Understanding price behavior, business cycles, commodity cycles etc takes a lot of attention span. In every investing journey, there are ups and downs. It never progresses as per the excel sheet design. Staying put in a SIP of an ETF (or an index fund as second choice) is probably the safest way to preserve and create wealth without the stomach churn that accompanies direct equity investments. One important thing to understand is that in direct equities, things are dynamic. For instance, our auto sector has been valued almost like FMCG companies. One day, maybe there will be no fossil fuel vehicles and all would be driven by alternative energy. Will all the old companies survive? We do not have answers yet. Every auto maker is ‘talking’ about his preparedness. The day of reckoning will throw up new winners and losers. Blue chips of yesteryears may fall by the wayside and new heroes emerge. 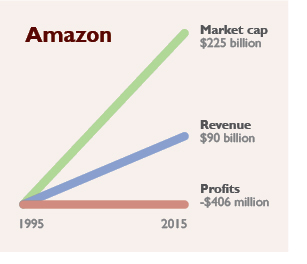 Technology companies seem to have very short life cycles. Last mile delivery platforms are constantly evolving and what is exciting today will be outdated tomorrow. To sum up, learn your own tolerance for risk, before you choose the path in equity investing. Mr Market always wins. Those of us who think that we have mastered Mr Market are living a lie. I recall a tagline from a movie of the 1980s named “JAWS”. The tagline was “Just when you thought it was safe to enter the water….”. Mr Market seems to be in a vicious mood as of now. Some of us would have played safe long ago and pulled their money off the markets. Some of us have invested long ago and are not bothered by this turbulence. Some of us are peacefully committed to our SIPs and are continuing it. Then there are some of us who have made quick money and then got caught a few months ago in the first round of mid cap stocks losing their value. Many of us had stayed away from the markets and came back a couple of years ago. And boy! Were we good? Everything we bought was the perfect pick! It reached a stage where we bought first and then wrote the story of the stock. Then a rude shock. The first round of panic when the mid-cap stocks got knocked about. Then the stories of poor management, frauds and corporate governance issues. When you lose money, you have time to read all this and then ponder. Now we have lost money and bought wisdom. Alas, wisdom is like ice-cream. It melts when the market gets hot. Commodity stocks cracked three months ago. We bought. Saying that they have ‘corrected 30%” from their peak. Now, they seem to be cracking yet again. We did not pause and see what happened in the last three years, last two years, last five years. We were focused on the “52 week” highs and low. Our mind got anchored to this number. We did not look at a three or five year high or low. This probably makes sense to us only after we lose money. As I said, this is the time that the fresh batch of ice-cream is starting to set. The biggest damage comes from commodity stocks and from stocks that are the beneficiaries of poor governance. And note one lesson. Companies with “DEBT” beyond a reasonable level are also going to hurt investors. What is a reasonable level? Debt should be such that the profits after tax and dividend should cover the repayment of interest and principal in three years. This is my safety valve. I also want the company to be a tax paying one. I have written in the past about commodity stocks. Once again, I would like to remind you that these are called ‘cyclicals’. It is because they go through a cycle of bust and boom. Thanks to China curtailing some of its commodity output and exports, our companies had an unusual window of supernormal profits. Sooner or later the earnings will come down. Commodity stocks are not like consumer goods where there is pricing power with the seller. And periods of excess profits lead to higher investment in the sector and then higher output brings down the profits. And with global trade shrinking (I fear this trend is now set), there is bound to be lower growth and higher pressure on profits. I like to relate Commodity stock to a simple “Price to Book Value” measure. See a ten-year trend in this and buy when it comes very close to the lower end and sell it when it gets to the upper range. This approach is MY preference. I am not guaranteeing that it would always work. Often, the bad cycle lasts a long time and the good times are short. The noise level makes us think that good times are always around. Another important thing if we are ‘trading’ is to have very strict ‘stop-loss’ and ‘stop-gains’ and faithfully follow it. When we are trading, we are essentially trading prices. Never lose that focus. “Stop Gain” is something that helps to prevent greed from overtaking emotion. When a stock is climbing, we forget everything else and just want one more digit added each time. Then when it slides back, our mind gets anchored to the high price we saw and we wait. Sometimes, this wait can be for over a decade. Let us say I keep the ‘stop gain’ at 30%. Even if I think that the stock may go up ten times from here, I should sell it and buy it back. This will help me by pushing the ‘stop loss’ higher and higher as stock price defies gravity. This will help you in good times and bad times. Is the worst over? I have no clue. However, commodity stocks are off my radar for now. If I can see non-cyclicals tumble, I may add some. Otherwise, go ahead with your SIPs and get equipped with more and more learnings.